Ricepaper is holding our first writing contest to celebrate our twenty years! 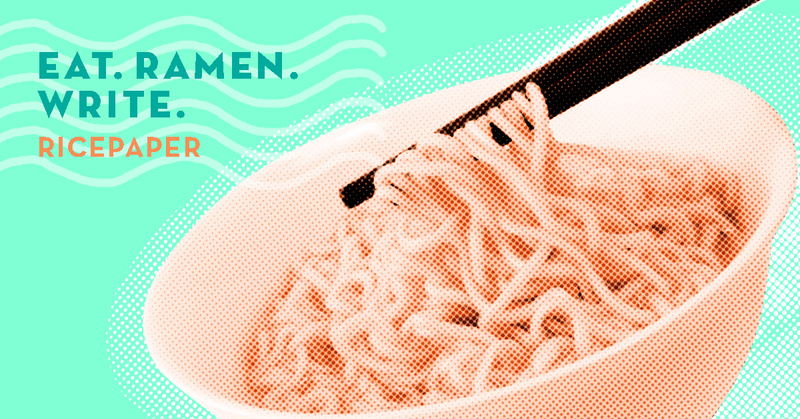 We want to celebrate with you and some tasty ramen, so we’re holding a flash fiction writing contest with a special treat —- include the world ‘ramen’. Win cash prizes and a chance to be published in your favourite Asian Canadian magazine (that’s us)! Ricepaper’s Annual Secret Ingredient Fiction Contest is a 500-words-max flash fiction contest. The piece of work must include the mystery ingredient selected by Ricepaper’s editorial staff. What’s the secret ingredient topic? Is there a submission fee? You also get a 1 year subscription upon entry. If you are already a subscriber, you can gift your contest subscription forward, or extend by a year. Submit your story online through Submittable. SECOND PLACE: Asian Canadian literary prize pack and online publication. Do I have to identify as Asian to participate? No, everyone can enter. Anybody can win! *Travel and lodging costs not included.